You've heard me talk a lot about workout wear here recently, but there's a reason for it. I know it can be easy this time of year to wane in your resolve to work out or to hit up the cheesy potatoes instead if the salad bar. That's why I want to help reinforce your decision to get your body in shape with some inspirational clothing. That kind of clothing didn't keep me in the gym for very long. It wasn't until I got some proper attire that I began to be inspired and reach my goals. And we all know, that's one of the greatest feelings in the world! So start over with your goals if you have to. But set some, get great clothing to reach them in and make this year the best one your body's ever had! Where to start? 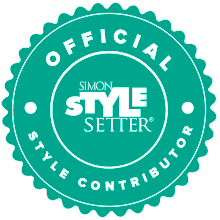 Read my latest style setter post!